The buzz is building for Bumblebee to save the world! Embark on an adrenaline-fueled adventure with thrilling car chases, explosive action and epic bosses! Race at high speed to the Decepticon bases, then convert into robot mode to blast your way to the boss! 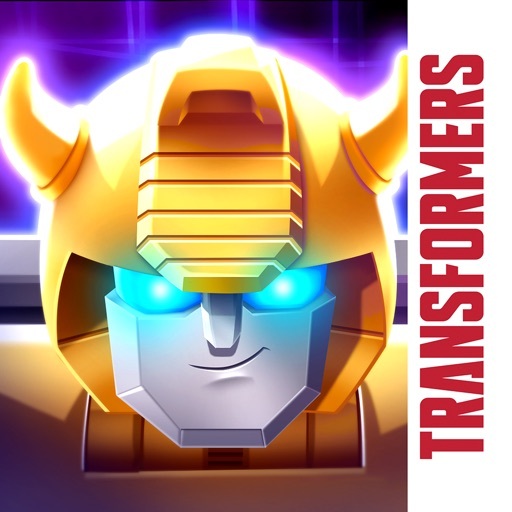 Join the buzz in Transformers Bumblebee Overdrive! • DRIVE fast and fearlessly to Decepticon bases! • RACE the streets to outrun chasing cars and shooting drones! • CONVERT into robot mode to blast your way to the boss! • DESTROY the Decepticon bases! • BATTLE and defeat the epic bosses to get rewards! • UPGRADE your Transformers’ armor and blaster! • BONUS: Come back for new missions and events! • BUMBLEBEE: Everyone’s favorite yellow Autobot! • STEALTH BUMBLEBEE: Muscle car Bumblebee goes undercover! • OPTIMUS PRIME: The heroic leader of the Autobots. He is an armored powerhouse! • SIDESWIPE: A courageous warrior that converts into a slick sports car! • ARCEE: A skilled female Autobot with dual blasters! • MIRAGE: This Autobot spy and racing car is a skilled fighter! • RATCHET: This Autobot medic is always ready to support the team! • JAZZ: A Special Ops Autobot with a supersonic sound system! • NOVASTAR: Nobody messes with this powerful resistance fighter! • MOONRACER: A bubbly female Autobot whose blaster skills are no joke! • PROWL: A military strategist that converts into a police car! Before you download this app, please note that it is free to play, but additional content may be available via in-app purchases. In-app purchases cost real money and are charged to your account. To disable or adjust the ability to make in-app purchases, change your device settings. This app may contain contextual advertising (including the option to watch ads for rewards) from Budge Studios regarding other apps we publish, from our partners and some third parties. Budge Studios does not permit behavioral advertising or retargeting in this app. The app may also contain social media links that are only accessible behind a parental gate. TRANSFORMERS and all related characters are trademarks of Hasbro and are used with permission. © 2018 Hasbro. All Rights Reserved. BUDGE, BUDGE STUDIOS and BUDGE GAMES are trademarks of Budge Studios Inc.
Transformers Bumblebee Overdrive © 2018 Budge Studios Inc. All Rights Reserved.